Gary Whittenberger and distinguished guest, Pat Fowler, will present PART TWO of a 97 minute video program about the life and times of Eugene Victor Debs and lead a discussion. Debs was an American socialist, political activist, trade unionist, one of the founding members of the Industrial Workers of the World (WWI) and five times candidate of the Socialist Party of America for President of the United States. Members, friends, and visitors of color at UUCT are welcome to our monthly meetup! We will be deepening our relationships with each other, Unitarian Universalism, and our congregation through sharing spiritual practices and stories of showing up with our whole selves. Contact Anna Bethea at anna.bethea@gmail.com for more information. A new way to socialize at UUCT! Folks of any age are invited to gather around the R&R table in the Sanctuary to visit, work on a craft, solve a puzzle, or to play a game. See Sally Andersen or Terri Martin for more information. 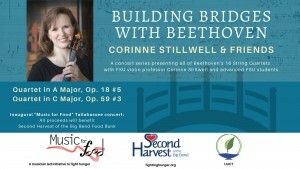 Violinist Corinne Stillwell will perform two Beethoven String Quartets as part of a larger concert series; the concert will be the inaugural “Music for Food” Tallahassee concert, a musician-led initiative to fight hunger in our communities! This concert is the 5th of a 9-concert series presenting all of Beethoven’s 16 String Quartets, and features two quartets performed by acclaimed FSU violin professor Corinne Stillwell in collaboration with advanced FSU students. The performers are Corinne Stillwell and Josefina Guzman, violins; Rebecca Tozzie, viola; and Vincent Leung, cello. A reception and conversation will follow the concert. Please bring cash or donation of any amount payable to “Music for Food” – non-perishable food donations are also welcomed. All proceeds benefit Second Harvest of the Big Bend food bank. Please visit www.fightinghunger.org to learn more. Music for Food is a musician-led initiative for local hunger relief. Music for Food concerts raise resources and awareness in the fight against hunger, empowering any musicians who wish to use their artistry to further social justice. Grab your mat and join us! All skill levels welcome! No registration needed! Just show up! Donations are welcome! Contact Suzanne Ripka for more information. What is UUCT all about? Learn more by joining the Welcome Team. In less than an hour, we will introduce newcomers to UUCT, answer questions, and invite you to share what brings you here. To learn more about this session, contact Sally Andersen, or Terri Martin. Join pagan and naturalist Sarah Tso for a walk around Jackson Mounds. Sarah has a Masters Degree in Biology from FSU and will share her knowledge of which native springtime plants are edible, which have medicinal properties and which useful in magick and ritual. We’ll also do a group meditation to honor the land and ancestral spirits of the place. The walk will be through open fields and less than a mile to be more accessible for all participants. 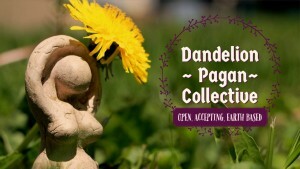 Dandelion Pagan Collective is an intersectional, open and accepting group about Paganism, Wicca, Witchcraft, Shamanism and other related paths for people in and around Tallahassee, Florida. 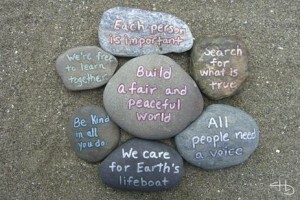 Our meeting include discussion, workshops, presentations, rituals, and community building. 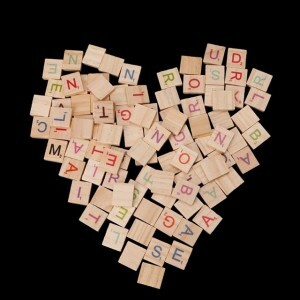 We are open and accepting of all people regardless of their race, gender, age, culture or ability. 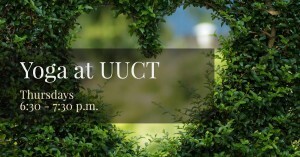 Come share a meal and spend some time with other members of the UUCT community. Free, Beg, Trade, Barter or Buy Mini-Market! Make plans for May! Rent a table and showcase your treasures! Entice others with Free stuff and banter a little with your beg, barter and trade skills so that others will buy your second-hand items! This is not UUCT’s traditional rummage sale… this is an opportunity for members, supporting friends or UUCT groups to obtain a table (or two, limited to what we have available) and make some money for themselves or for their group by “selling” items. Each vendor/group will handle their own money (like a mini flea market) and can have fun socializing at the event. Vendors are responsible for marking their items, bringing them to the Sanctuary and removing items that do not sell. No large furniture items allowed. Clothing should be limited to 10 items, unless it is kids clothing… bring only what you can manage. Cost to participate: $15 for one table or a new board game and a door prize item (can be second-hand), $25 for two tables or a new outdoor game item(s) (e.g. horse shoes, corn hole, tether ball, etc.) and a door prize item. 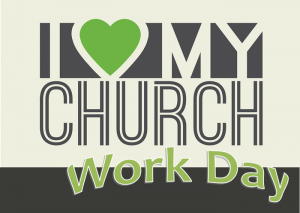 Sponsors are encouraged as well – food, drinks, snacks for vendors or door prizes. First come guarantees you a table. Make your reservations early! Contact Bonnie Abellera to reserve a table or two! Come for an hour or join us all day. There are no rules for how long you should stay! No time is too short, and no job is too small! We welcome your help! 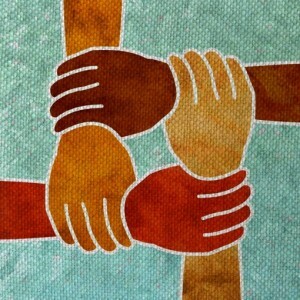 As our congregation moves through transitions, builds relationships for the work of social justice in the community, and commits to an intentionally anti-racist, anti-oppressive, multicultural beloved community, we face many challenges for “how to do the work” and stay in right relation with each other. 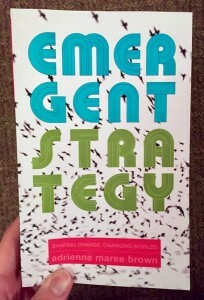 We invite you to read the book Emergent Strategy by writer and pleasure activist Adrienne Maree Brown (or review online summaries) as time permits, but definitely don’t let that hold you back from joining the discussion. We’ll unpack the rich wisdom of incorporating an emergent, adaptive, and growth mindset into our personal lives, how we relate to each other as a congregation, and how we can leverage these values in our work for justice in the wider world. You can purchase the book through the inSpirit UUA Books & Gift store. Contact Anna Bethea for more information. 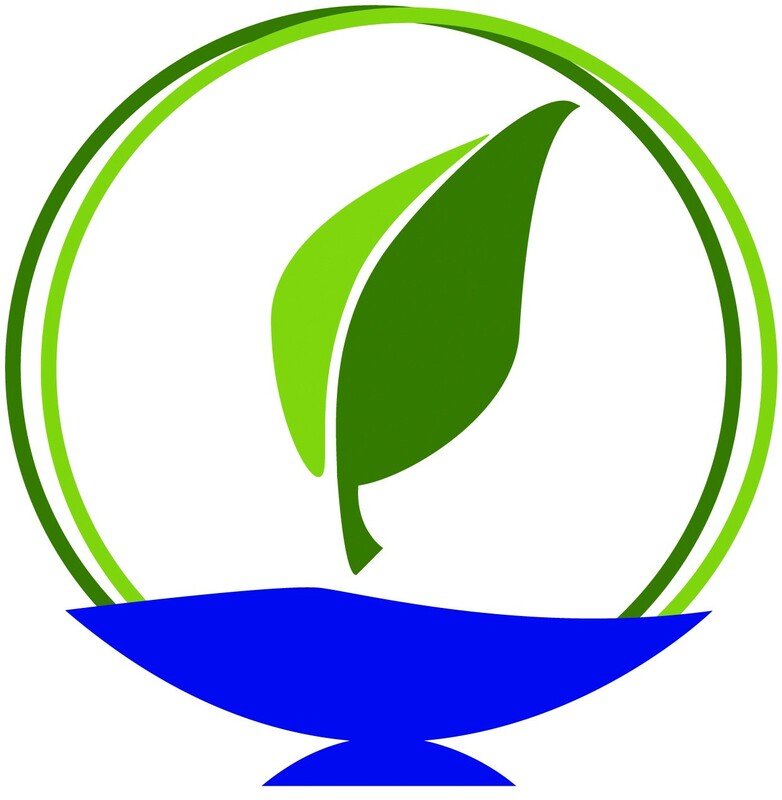 You are invited to join a special Small Group Ministry, UU Explorations, for those interested in gaining a deeper understanding of what it means to be a Unitarian Universalist. This is a sharing and listening circle about topics that relate to the theme: What does it mean to be a Unitarian Universalist? It is an opportunity to get to know others on a deeper level and reflect together on important topics and concepts in Unitarian Universalism. At each gathering, we: check in with each other on how our lives are going, share our thoughts on one of twelve topics, simply listen to one another, and then share any further reflections we have. The circle is specifically not a class or discussion group. The group began with newcomers from the past two years who were interested, and each month, any new members or supporting friends has been invited to join us. Each person remains in the group for a year, at which point the topics will begin to repeat for them. The sessions have been so interesting and informative that they’ve been opened up for the congregation’s participation. Each month’s topic will be announced in the Meridian with a few questions to reflect on and a packet of readings. However, we start each meeting by introducing the topic, so if you don’t have time for reflecting or reading ahead of time, it is still be perfectly fine to come. The topics we’re covering are listed below.